This week’s question isn’t whether books or movies are better, or whether a particular book is better than its movie adaptation, but this: In what way are they better? 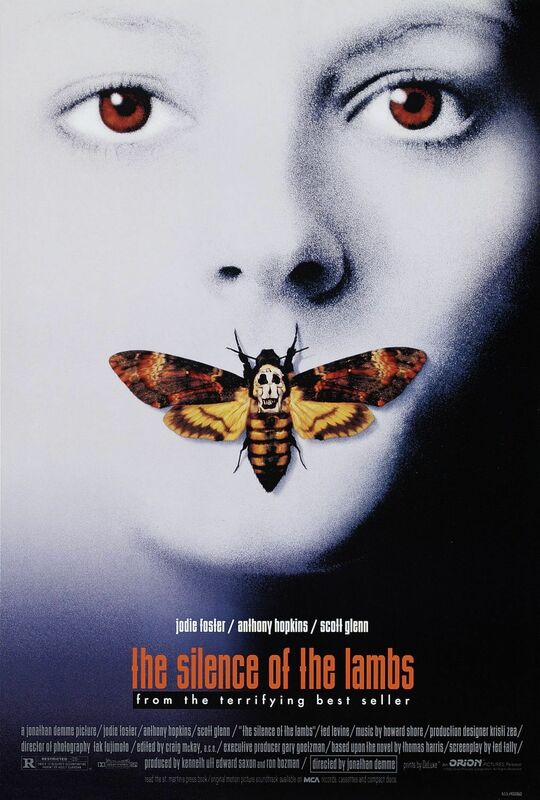 For me, the performances of Jodi Foster and Anthony Hopkins (and an excellent but often overlooked supporting cast) are the biggest reasons The Silence of the Lambs seems, to me, far superior to the book. Also, the visual and aural depictions of Agent Starling’s vulnerability both in the interviews and in that terrifying climactic scene make all the difference. I saw The English Patient before I read the novel, and it’s hard to choose one over the other because Michael Ondaatje’s prose is so beautiful. For the purpose of illustration, though, I’ll say one thing the film does better is establish a mystery with its opening scene, creating an entirely different story experience from that of reading the book. Lord of the Rings is another difficult call. Undoubtedly I’ll irritate a legion of purists or movie fans with either call, and the truth is that I like the books and the films in different ways. But in the end I admire the screenwriters’ slight increase of a female presence in the story, and virtually all of the performances breathe more life into the characters than ever existed on the page. Besides, film just wins with its ability to visualize horrors like the Nazgûl and the huge battle spectacles of the Siege of Minas Tirith and the Battle of Pelennor Fields. This question has been on my mind since reading Gone Girl and learning that the filmmakers have Gillian Flynn rewriting the ending. Some fans of the book are up in arms over the change, but it makes perfect sense to me, because the real climax of the book is all internal, virtually impossible to represent visually. The fact that the novelist is the one creating a new, cinematic climax should reassure fans. What are some of your best examples of not whether a book or film is better, but how it’s better than the story in the other medium? Bonus points for showing how the book is better in some ways and the movie in others. Another Foster movie, Contact, I feel worked much better on screen than it did in the book. Even with the removal or change to some of the side characters, the focus on Ellie as the one who goes rather than the group helped drive the story and message for me. A Time to Kill – I often find Grisham is better portrayed on the big screen, although not always. For me, the ending of TTK is way better in the movie. Matthew M. is great at putting an immense amount of emotion into the final closing, but the biggest deal to me is that in the book it is an anonymous jurist who states the important line, “Imagine she’s white.” Lacking that line, the book suffers in that the protagonist is ultimately ineffectual in resolving the plot. On the other hand, I preferred some of the minor characters more in the book, because you get more time with them than the movie.